From the sandy beach shores of the Lido to the birthplace of glass-blowing in Murano, here are some of the best day trips outside of Venice. Venice is a popular place for day trips itself, however, for those already staying in Venice there are also plenty of options for day trips further afield. Venice is surrounded by some wonderful lagoon islands, each with something unique to offer. Even if you only have a short time in Venice, seeing some of the lagoon islands is easy as they’re so close and transport is really regular. The closest one is Murano, which is only 10 minutes away by vaporetto. The island is world-famous for its centuries of fine glass making. Then there’s Burano, a beautiful city of multi-coloured houses where you can visit the Lace Museum. Torcello is mostly an uninhabited nature reserve but boasts the oldest structures and a 7th century cathedral from the original Venetian settlers. 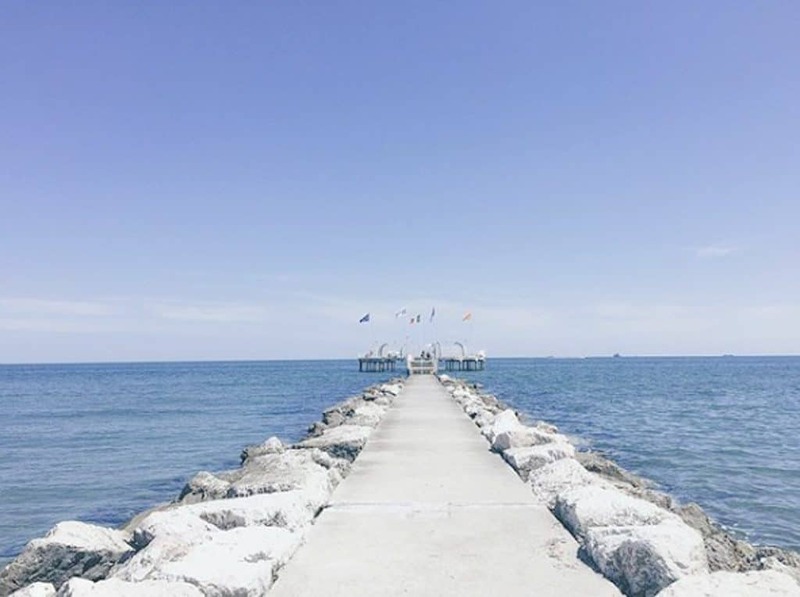 Finally, if the sun is out and you’re craving some beach time, the Lido is just a 15 minute vaporetto ride away and boasts a long stretch of beaches facing the Adriatic Sea. Read on to discover some of the best day trips outside of Venice. 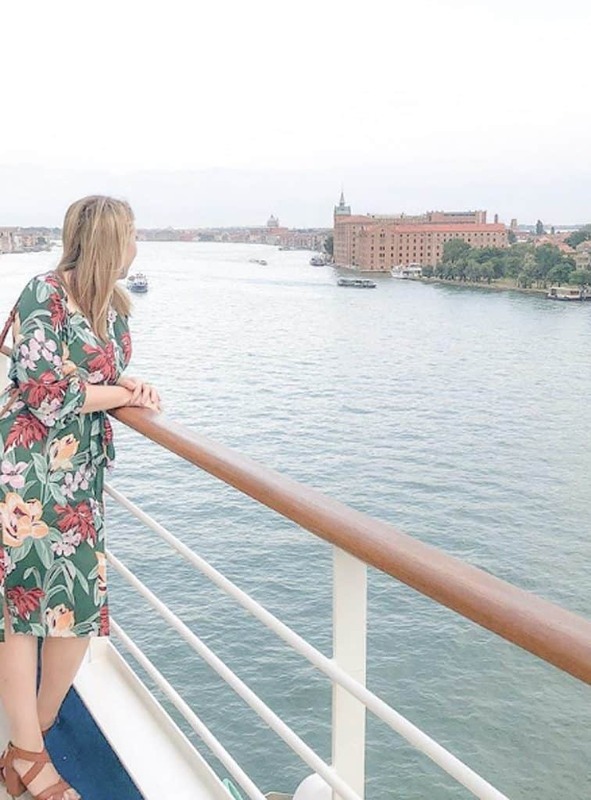 Leaving Venice first thing in the morning will ensure that you not only set aside enough time to see each of the islands, you’ll also beat a lot of the crowds. Give yourself enough time to spend a couple of hours at each island so you can really soak up the atmosphere at your own pace. If you have your heart set on a particular tour then you should consider booking it in advance, especially during the busy summer months. 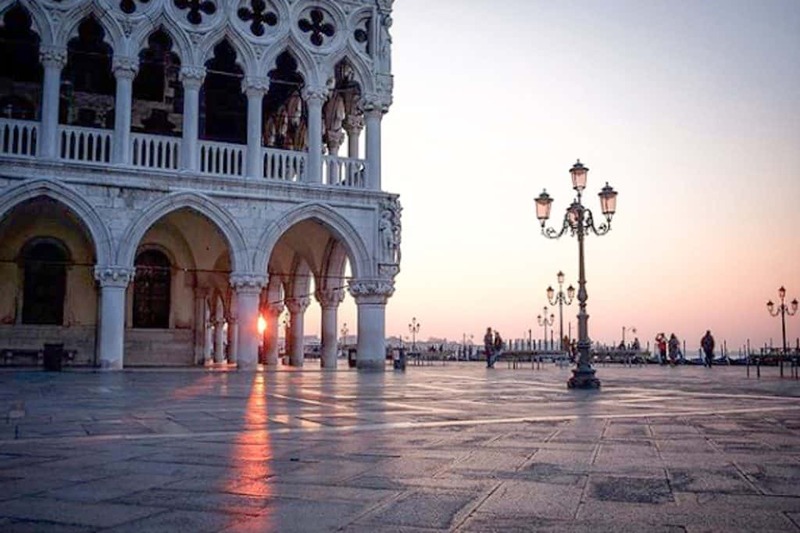 Whether you want to see a glass blowing demonstration or go on a private boat tour of the lagoons, there are plenty of things you can arrange online before you even arrive in Venice! 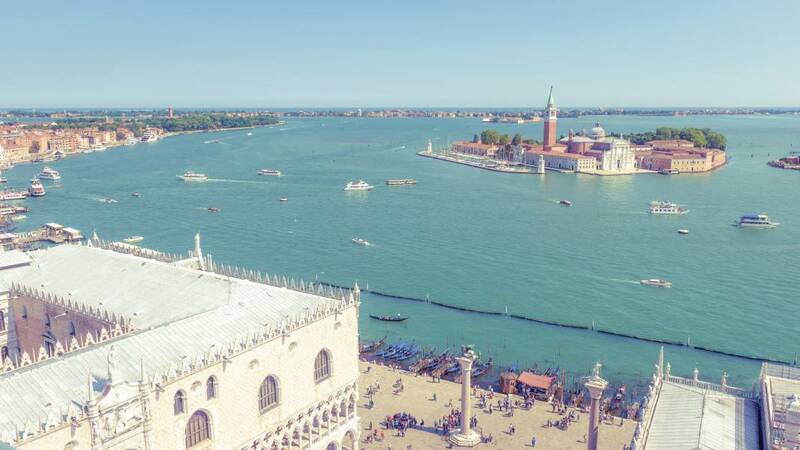 Venice truly is one-of-a-kind and if you’re lucky enough to be staying on the island, it would be a shame to spend an entire day going back to the mainland where you’d find much cheaper and more generic accommodation anyway. Make the most of your time in this unique part of the world by exploring the best of what the lagoon has to offer! The Lido is what separates the Venice lagoon from the Adriatic sea, in the shape of an 11km long sandbar. The island was once the ‘it’ resort island in Venice but lost its status in recent decades. However, the Lido is now regaining some popularity as the new destination for sustainable travel. In September each year Lido also hosts the Venice Film Festival, drawing big crowds and celebrities from all over the world. The first thing you’ll notice on arrival to Lido is a completely different atmosphere to the crowded paths of Venice. Lido is filled with leafy residential streets, cyclists, cars and wide pavements. The local shops and restaurants on the island are a relaxing escape from a hectic Venice. You can reach the Lido in just 15 minutes by vaporetto (water bus) from San Marco, making it perfect for a short day-trip to the beach. The closest lagoon island to Venice, Murano is only 10 minutes away by vaporetto. The island is famous for centuries of fine glass making. 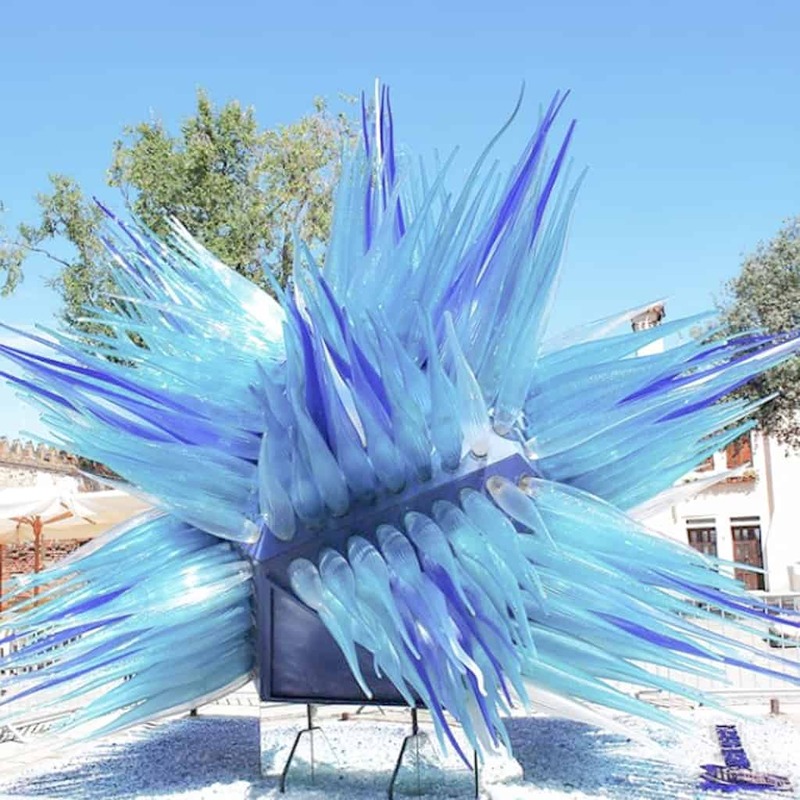 Many generations of craftsmen have been working on Murano and the art of glass making has been passed down, so that now you can experience it for yourself at one of the island’s glass factories. Aside from the glass, Murano is also a completely unique and charming place to visit. Have your camera ready and see the photogenic scenes unfold at every corner. 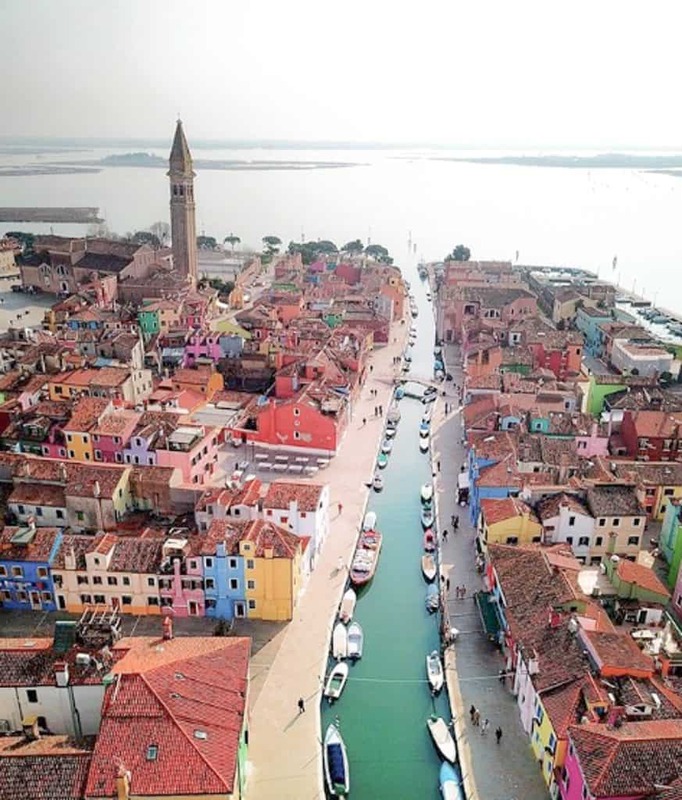 A 40 minute vaporetto from Venice will get you to the beautiful island of Burano. The island is known for its brightly coloured fisherman’s houses that line the canal’s banks, as well as the delicious eateries serving fresh local seafood straight from the lagoon. 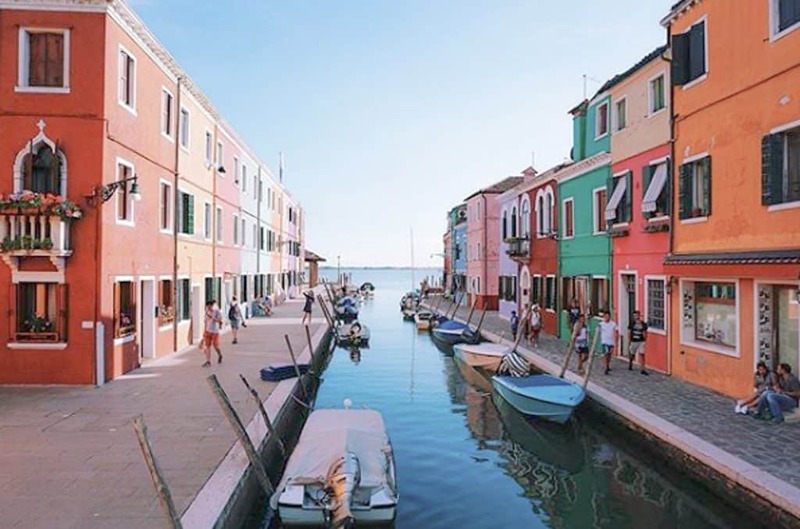 The stunning scenery here leaves such an impression that Burano even came in second on a Forbes “Most Beautiful Places” list. It’s also home to the lace museum – Museo del Merletto. It’s what the area is known for, with plenty of shops selling locally made lace products for the perfect souvenir!